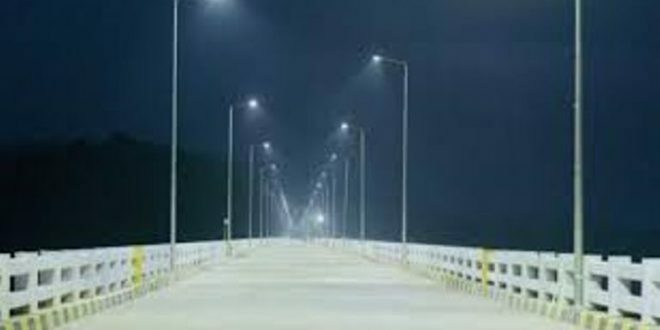 Malkangiri: Odisha Chief Minister Naveen Patnaik dedicated the much-awaited Gurupriya Setu to the people of the tribal-dominated and Maoist-affected Malkangiri district here on Thursday. The 910-metre bridge will resolve the communication problems for around 30,000 people of nearly 152 villages in eight gram panchayats in the cut-off regions in and around Kalimela and Chitrakonda reservoirs. It is also aimed that the inaugurated Gurupriya Setu will now transform lives in the villages that had till date remained cut-off for over five decades. “Gurupriya Setu signifies a resurgent Odisha. It will transform lives in 151 villages that were cut-off for 5 decades. It is not just a bridge, it will be the identity and Swabhiman of Malkangiri. 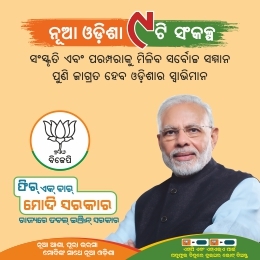 I dedicate this special project to people of Odisha and India,” tweeted Patnaik. “The term cut-off is history from this historic day. With renewed esteem, they will now be Swabhiman Areas,” said the Chief Minister. The bridge has been built at an estimated cost of Rs 187.25 crores. The foundation stone of the bridge was first laid by former Chief Minister JB Patnaik in 1982 and again by Naveen Patnaik in 2000. Maoists had been opposing the construction of the Gurupriya bridge from the beginning for which it changed hands of contractors several times. Initially, the estimated cost was Rs 15 crores and later it got enhanced to Rs 172 crores. Finally, the bridge was constructed with Rs 187.25 crores, sources said.